"Kid friendly always a plus." "Clean rooms, very friendly staff"
"Our room was very clean"
"The most filthy hotel ever." "The rooms are very old ." 1 hour to check in. The staff was incompetent. Convenience location to the Las Vegas strip. While I slept in their mediocre room, my vehicle was vandalized and some of my property was stolen in their parking garage. The room was comfortable and had an iron, safe, tv, and WiFi. The guy who checked us in was also nice and gave us a room with a bit of a view of the strip. Location - too far to walk to the main part of the strip. The water! The water in our bathroom smelt so bad. It must have been some treated water but every time I used the sink or the shower I could smell it and it was terrible. You couldn’t drink it. The vibe. The casino is obviously a cheaper stay which attracted certain types of people. The casino floors have cheap shops and was dark, dimly lit and not nice. I booked a certain type of room and ended up with another. Hotel was unwilling to accommodate request. Search for Circus Circus Hotel & Casino discounts in Las Vegas with KAYAK. 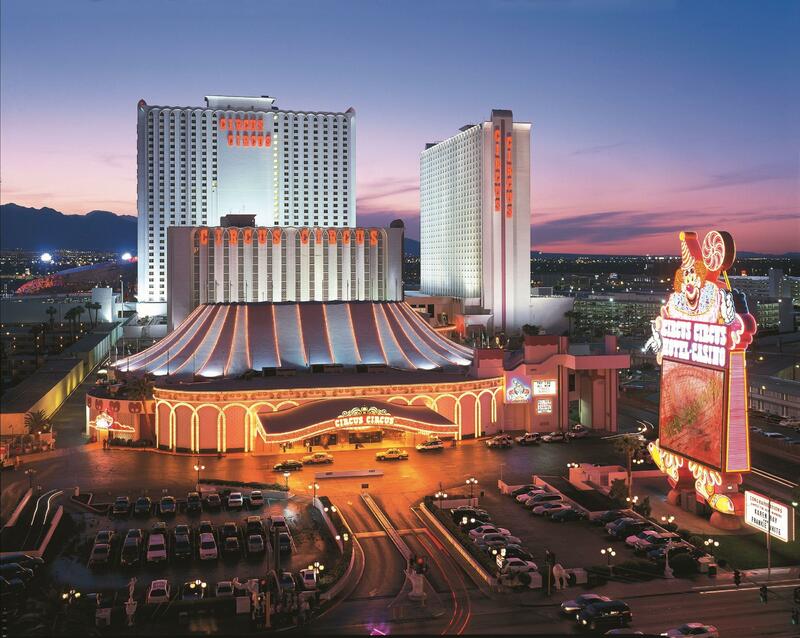 Search for the cheapest hotel deal for Circus Circus Hotel & Casino in Las Vegas. KAYAK searches hundreds of travel sites to help you find and book the hotel deal at Circus Circus Hotel & Casino that suits you best. $77 per night (Latest starting price for this hotel) - Save up to 25%.